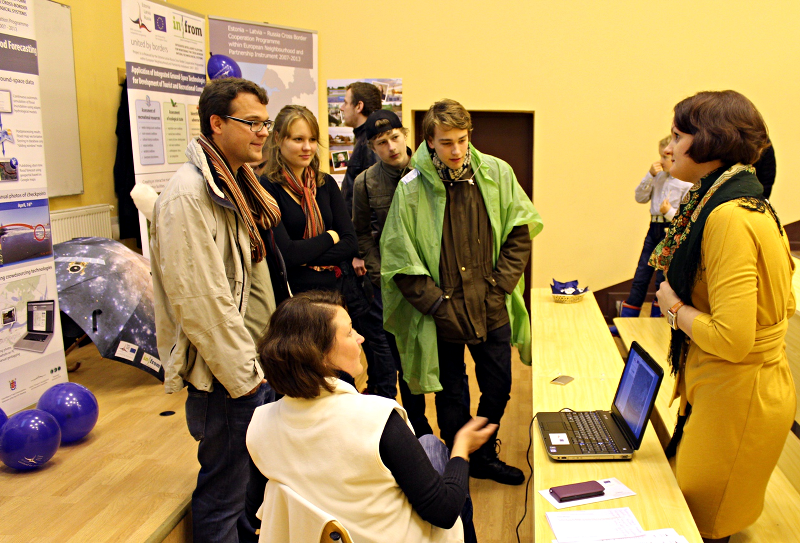 Due to research background of the implemented project, INFROM (ESTLATRUS/2.1/ELRI-184/2011/14) project’s researchers participated in Researchers’ Night 2013 to demonstrate visitors the results of European Territorial Cooperation in science. The Reserchers' Nights are supported by the European Commission as a part of the Marie Curie Actions, which is an EU programme to boost European research careers. The main theme of Researchers’ Night 2013 is water and its use in different spheres. This year the event was run in 27th September in 35 EU countries and 300 cities. For Latvia this is 7th year of participating in Researchers’ Nights with installations in nine cities as Rīga, Jelgava, Daugavpili, Rēzekne, Ventspili, Valmiera, Salaspili, Liepāja and Cēsis. "INFROM" project researchers Arnis Lektauers (Dr.sc.ing.) 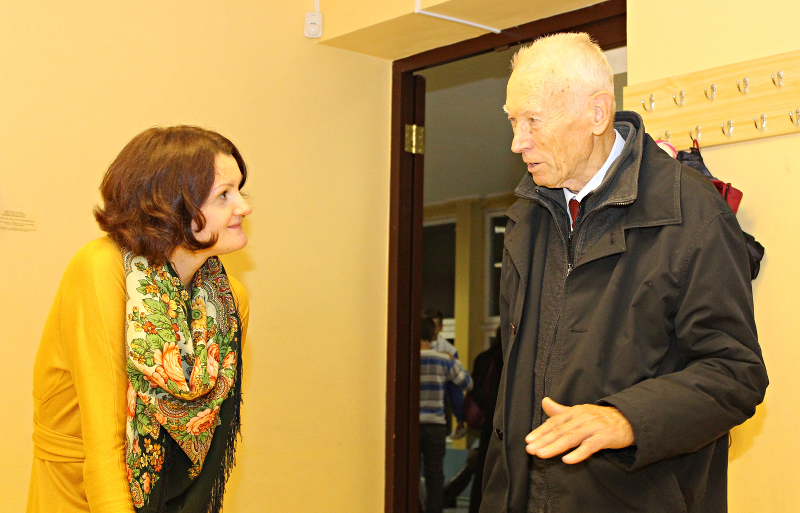 and Jūlija Petuhova (Dr.sc.ing.) 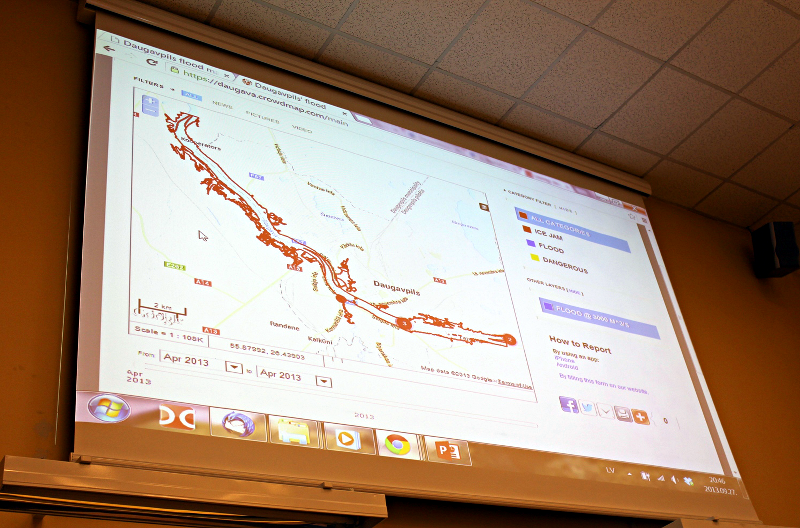 presented results of the Project in a separate “Flood room” dedicated to flood subject. 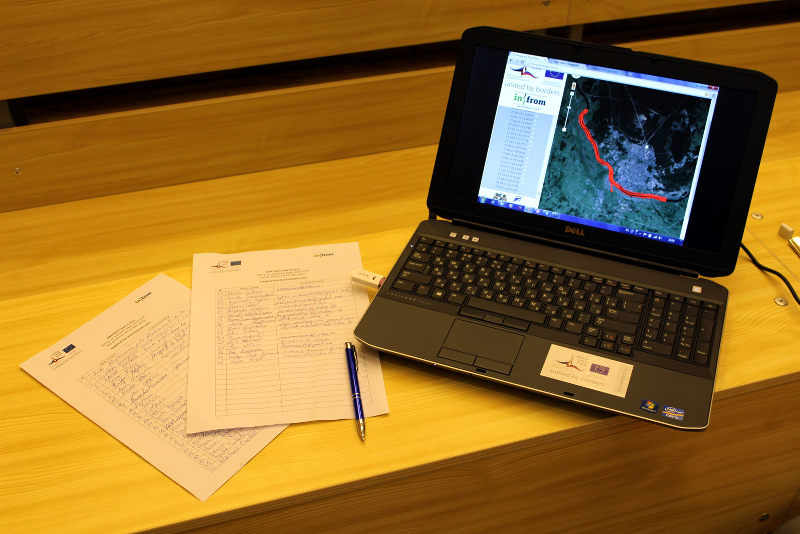 During the event, the functionality of the developed platform of floods monitoring in Daugavpils was demonstrated, including discussions on its main components for data collecting, evaluation, modelling, and visualisation by means of GIS platform and geoportal. Among „Flood room” visitors there were target group representatives and researchers; as well many questions about developed technologies and methods came from students. Application of INFROM project results to different actual problems was main point of interest from Riga residents and visitors. 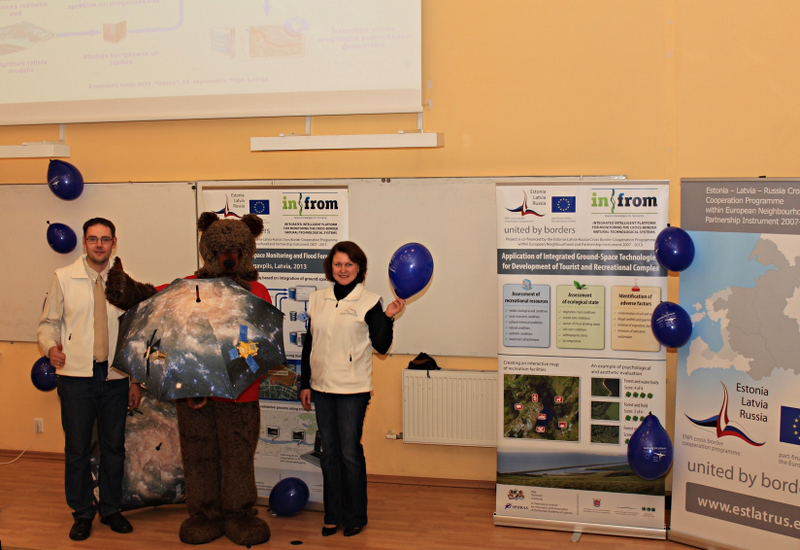 Presenting the results of the Project in general and flood monitoring platform in particular, INFROM project researchers focused on actuality of application of scientific achievements for social welfare.